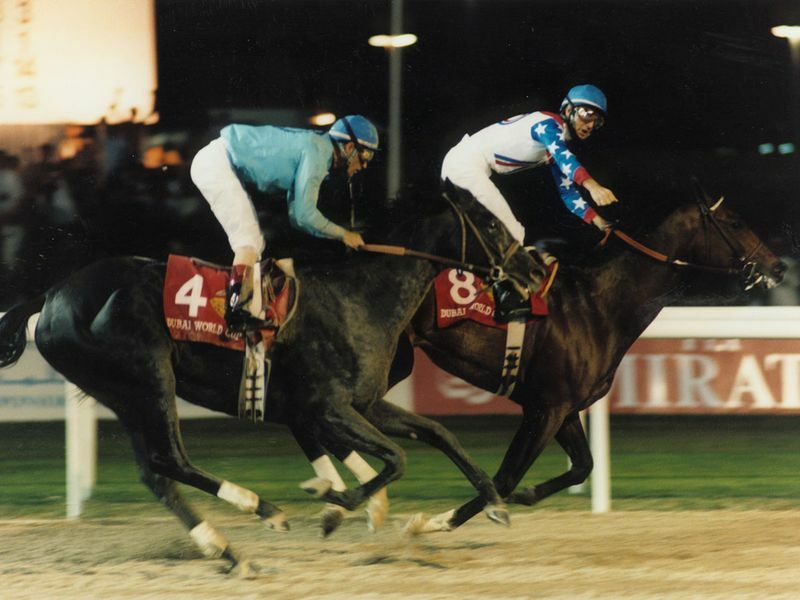 American thoroughbred Cigar was the winner of the inaugural running of the Dubai World Cup, holding off Soul of the Matter to win by half a length. It was his 14th straight career success, which he would extend to 16 before his defeat in the Pacific Classic (G1). He was the first racehorse to achieve the feat since Triple Crown winner Citation did so in 1948 and 1950. Cigar retired as the leading money earner in Thoroughbred racing history and was later inducted into the National Museum of Racing and Hall of Fame. Cigar was retired to Ashford Stud, the American division of Coolmore Stud, at the end of the 1996 racing season. However, he proved infertile as a stallion, as none of the 34 mares bred to him became pregnant. Cigar lived out his retirement at the Kentucky Horse Park's Hall of Champions in Lexington. In 2014, he began to suffer from osteoarthritis in his spine, which led to surgery to correct the problem, but complications ensued and he died on October 7. 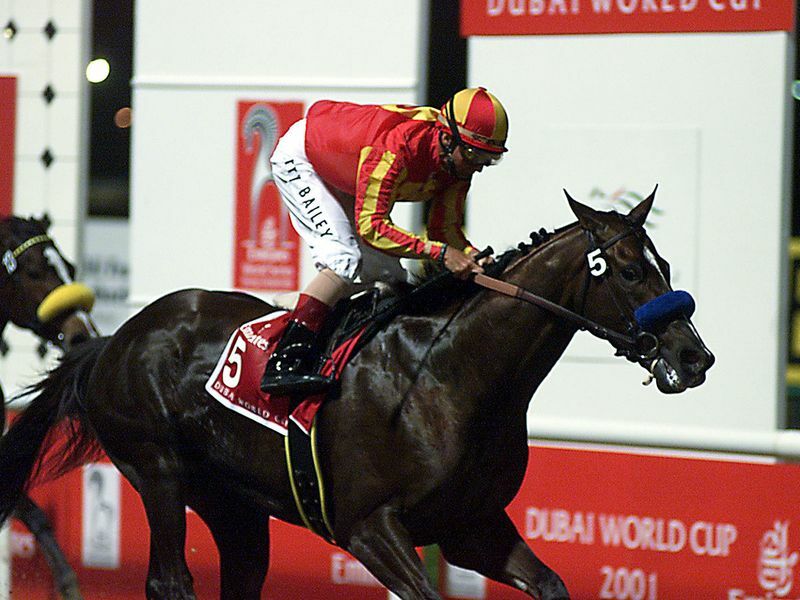 Irish-bred Singspiel was best known for a series of wins in major international races in 1996 and 1997, including the Dubai World Cup. In a racing career that lasted four years, he won nine of his 20 races. 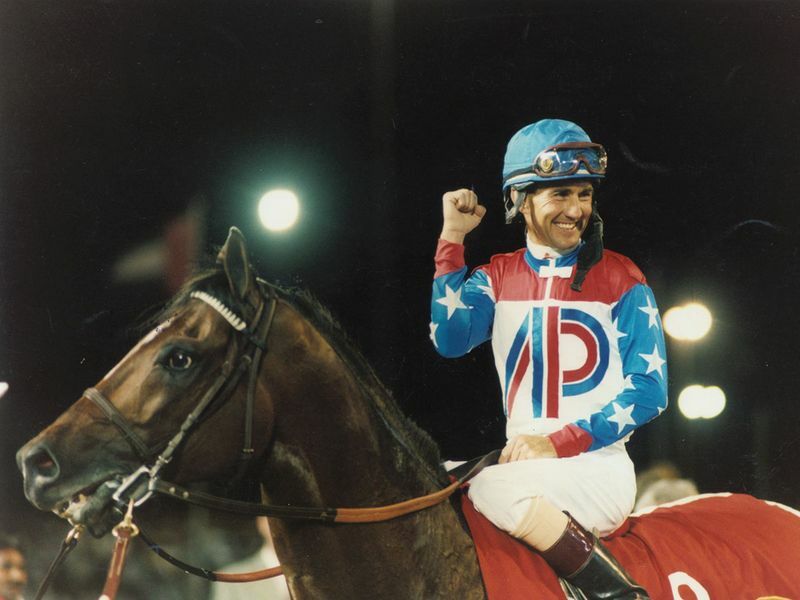 He emerged as a world class performer in 1996, when he won the Canadian International Stakes and Japan Cup and was named US Champion Male Turf Horse. 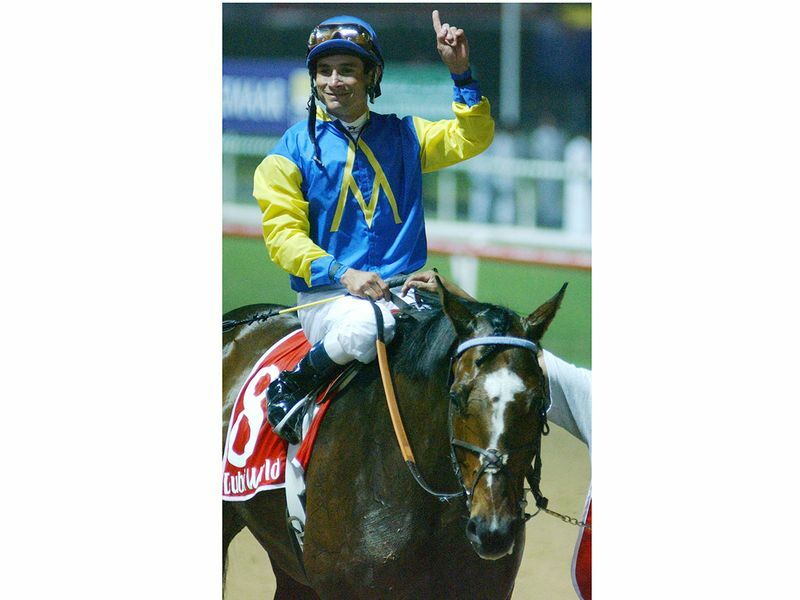 In the following season he added the Dubai World Cup, Coronation Cup and International Stakes before his career was ended by injury. Singspiel claimed the $2.6 million winner's purse by beating Siphon. After his retirement from racing, he had considerable success as a sire of winners before his death in 2010. 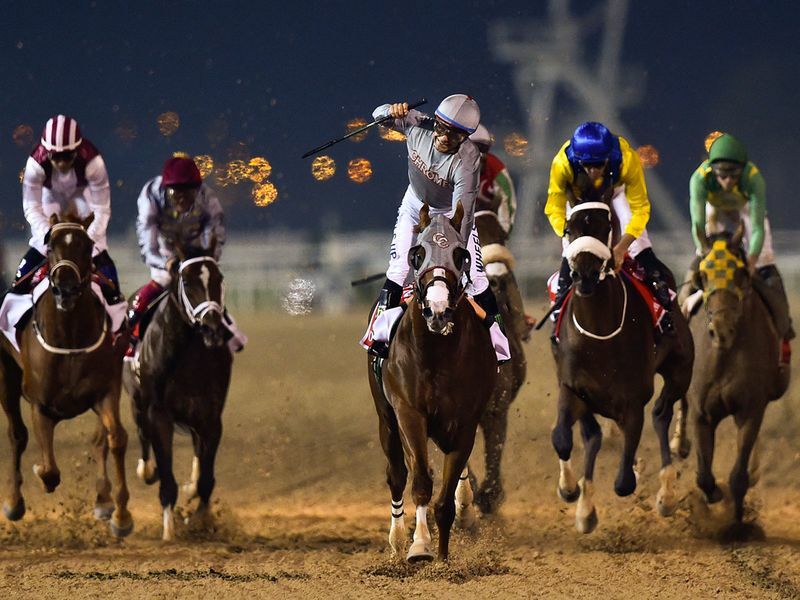 American-trained Silver Charm won the first running of the Dubai World Cup in its elevated status as a Group 1 contest. The trip was to be the first time the grey colt would leave the US, as with his silver-haired trainer, Bob Baffert, who until then did not possess a passport. Ridden by Gary Stevens, Silver Charm prevailed by a short head from Swain, the mount of Irish great Mick Kinane, in the epic duel that was fought out over the last 300 metres. Silver Charm would return to contest the race the following year but could only finish sixth. He is retired permanently at Old Friends Equine in Kentucky. One year after achieving Group 1 status, the Dubai World Cup received a significant boost in prize money, which was raised from $4m to $5m. And the lucky winner of this huge prize pot was Godolphin's Almutawakel, who was owned by Shaikh Hamdan Bin Rashid Al Maktoum, Deputy Ruler of Dubai and Minister of Finance. Richard Hills rode an astute race to score what would be one of the biggest wins of his career. 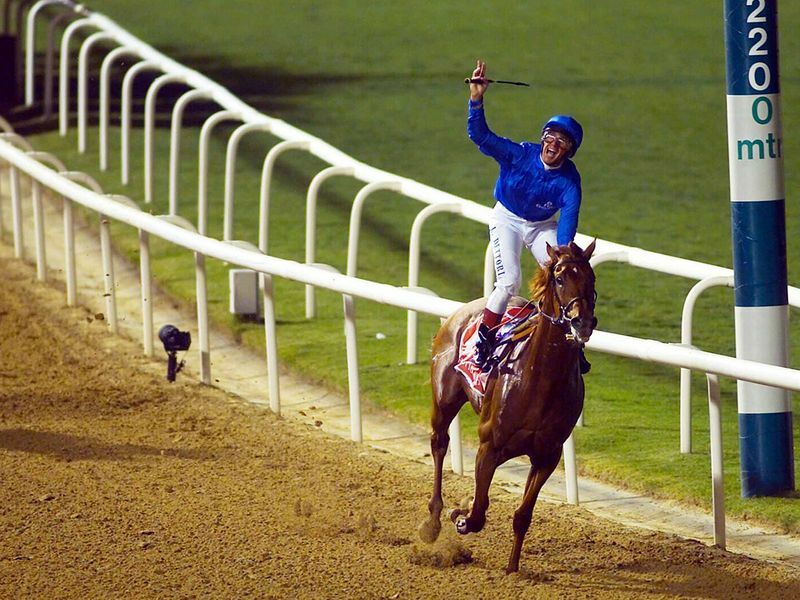 The winner was the first of trainer Saeed Bin Surour's six Dubai World Cup triumphs. Almutawakel was euthanised in 2007 after failing to respond to treatment for chronic arthritis. The prize money was once again increased from $5m to $6m to mark the fifth running of the race day. However, only a small field of six horses would be contesting the race, perhaps due to the ominous presence of a horse called Dubai Millennium, who had long since been targeted at the race. 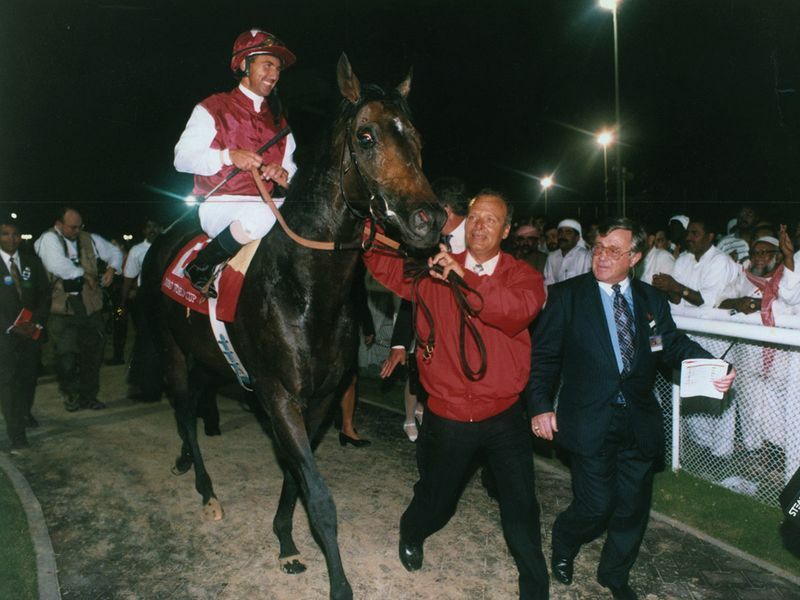 Born as Yasser, he was renamed Dubai Millennium by owner His Highness Shaikh Mohammad Bin Rashid Al Maktoum, Vice-President and Prime Minister of the UAE and Ruler of Dubai, with an eye to him winning the race in its first running in the new millennium. It was the victory that was meant to be. 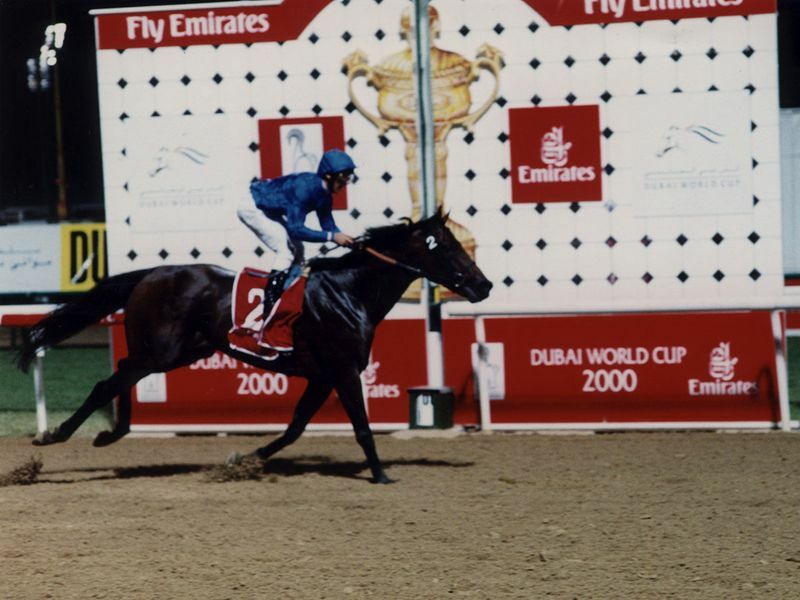 From the moment the gates flew open, Dubai Millennium began to assert himself and set a blistering pace, before pulling away from the challenge of American raiders Behrens and Public Purse off the final bend to cruise to a thumping six-length victory in a course record time. He would then win the Prince of Wales's Stakes (G1) before a broken leg in training ended his career. He was subsequently retired to Dalham Hall Stud, part of the Darley Stud organisation, where his only crop of foals produced several winners, including notably Dubawi, winner of the National Stakes, the Irish 2,000 Guineas and the Prix Jacques Le Marois, who in turn would prove to be a champion sire. 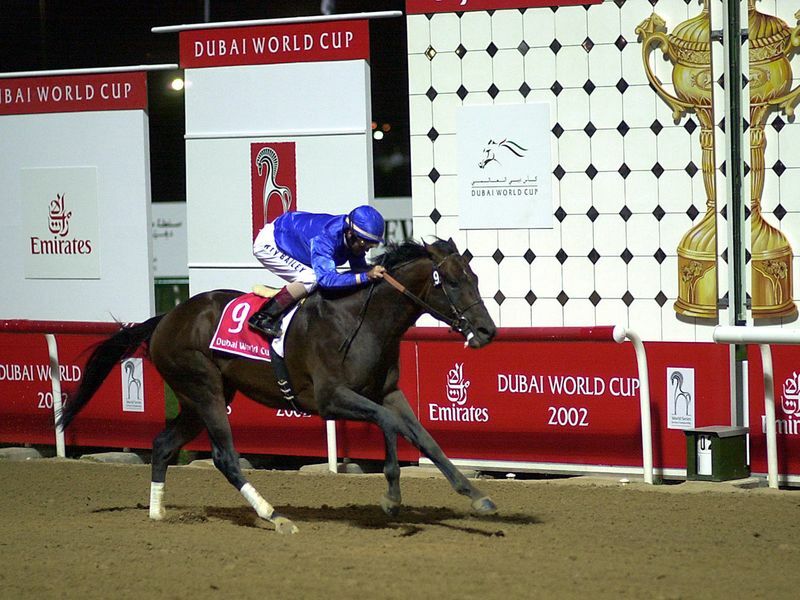 In April 2001, Dubai Millennium was diagnosed with the fatal illness grass sickness and was euthanised on April 30. He was buried at the Dalham Hall Stud. 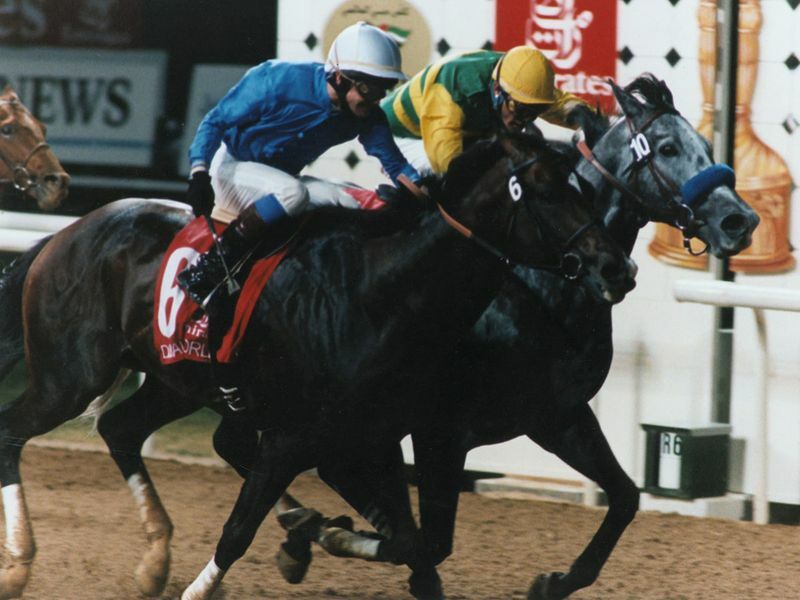 Captain Steve became only the second US-trained horse, after Silver Charm in 1998, to win the Dubai World Cup. Trained by Bob Baffert, he came into the race with a lofty reputation having won the 1997 Kentucky Derby and the Preakness Stakes. Ridden by Jerry Bailey, all did not appear to look good for the American champion as Japanese contender To The Victory had set a scorching pace from the start and was leading the 12-horse field by nearly two lengths in the home stretch. However, Bailey, who had already captured two Dubai World Cup trophies, wrested the best out of his mount and took him to the front, a position he would not surrender. Three lengths separated Captain Steve and To The Victory at the finish, while Hightori, the French contender, was third. Captain Steve was sold to the Japan Racing Association for $5 million to stand at Shizunai Stud. He died on April 21, 2013, at Schichinohe Stallion Station in northern Japan from acute heart failure. He was 16. 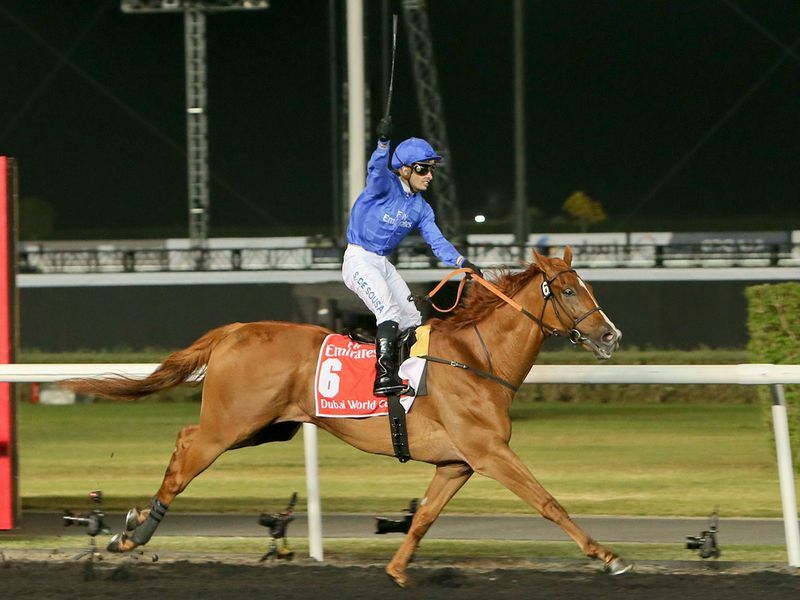 Godolphin handler Saeed Bin Surour stamped his authority on the Dubai World Cup by saddling the winner for the fourth time in seven runnings. Jerry Bailey, who had made it a habit of winning the prestigious contest, was once again in the saddle as Street Cry posted a four-and-a-half-length win over Saudi Arabian raider Sei Mei. 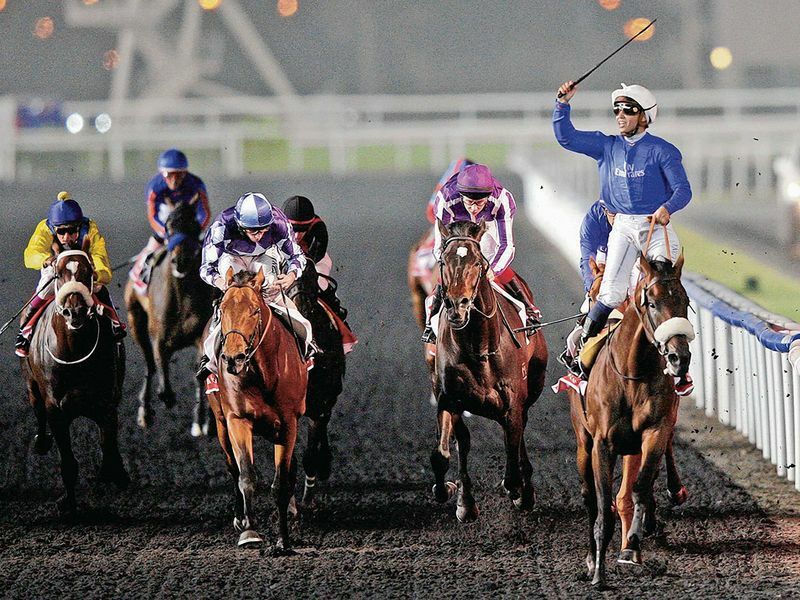 In fact, the seventh running of the race marked a major success for Middle Eastern-based horses, with the first five over the line coming from either the UAE or Saudi Arabia. Street Cry would go on the win the Grade 1 Stephen Foster Handicap at Churchill Downs before taking second spot in the Grade 1 Whitney Handicap at Saratoga. He was successfully retired to stud at Darley's Jonabell Farm in Lexington, Kentucky, where he produced several Grade 1 winners, including 2010 Horse of the Year Zenyatta; Street Sense, who won the 2007 Kentucky Derby; and Shocking, winner of the 2009 Melbourne Cup. He was euthanised in Australia on September 17, 2014, as a result of complications of a neurological condition. 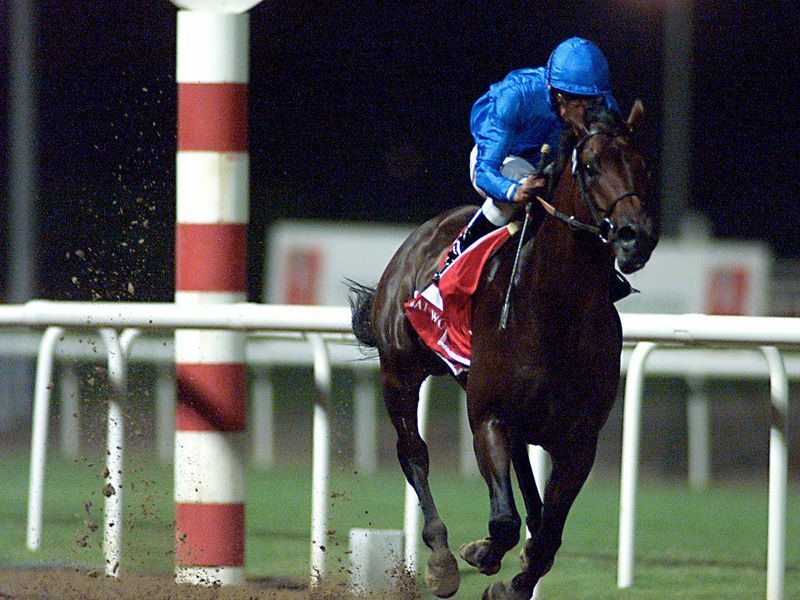 Moon Ballad was an impressive five-length winner, giving his trainer Saeed Bin Surour a record fifth success in the race. Moon Ballad's victory took Godolphin to within three wins of the magical 100 Group 1 victories mark -- an achievement that was accomplished when that year's Dubai Sheema Classic (G1) winner Sulamani triumphed in the Arlington Million (G1) in August. However, Moon Ballad's post-World Cup form was disappointing and he was shortly retired under Darley Stud's management at the Yoshun Company's Stud in Hokkaido, Japan, after suffering a huge defeat to Mineshaft in the Jockey Club Gold Cup (Grade 1) at Belmont Park in August the same year. Here he became the leading sire in Japan, breeding 152 winners from 212 runners -- a hit rate of 72 per cent. He returned to Europe and currently stands at the Woodlands Stud in Galway, Ireland. His progeny have earned in excess of $14.5 million. 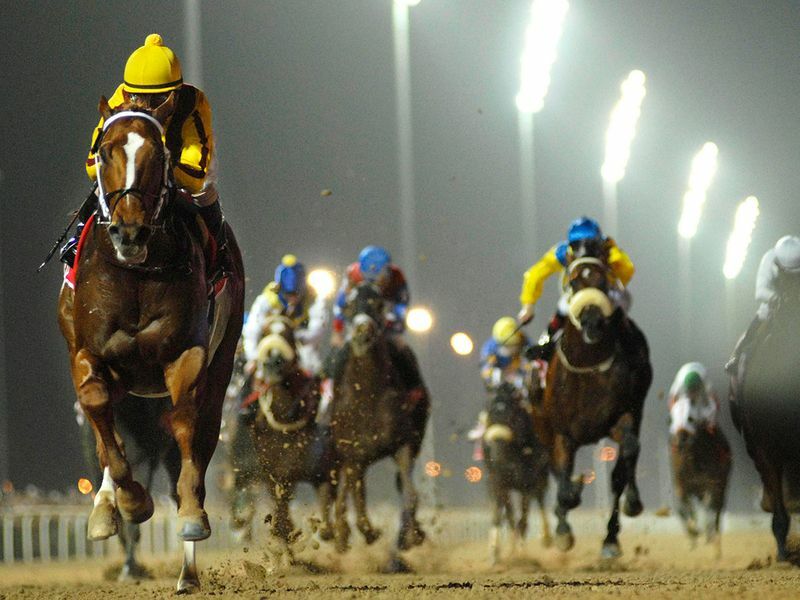 This was the year the Dubai International Racing Carnival, now known as the Dubai World Cup Carnival, was launched. American raiders Pleasantly Perfect and Medaglia D'Oro came with heavy reputations, while 2003 UAE Derby winner Victory Moon and Japan's finest dirt runner, Admire Don, drew a lot of attention. Pleasantly Perfect and Medaglia D'Oro had fought out a Breeders' Cup Classic duel four months earlier, in which Pleasantly Perfect ultimately triumphed, and the US superstars continued from where they had left off in the American showpiece. 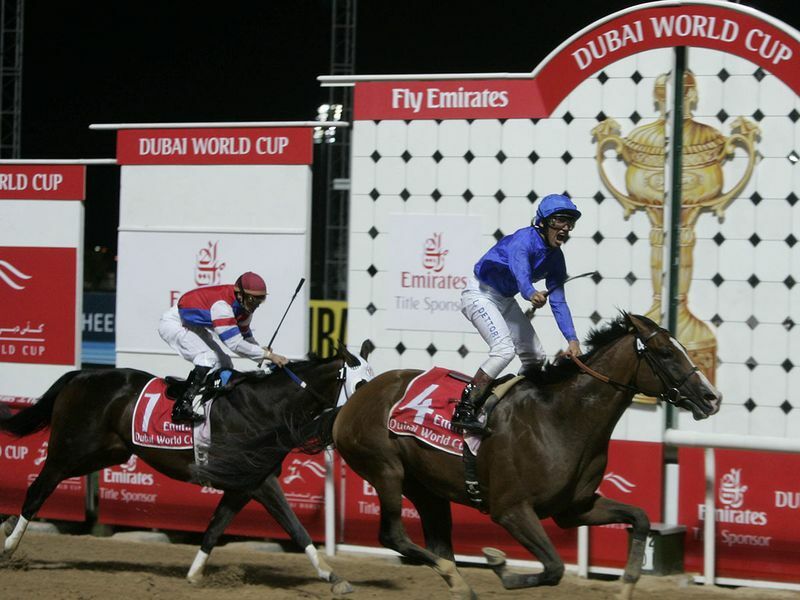 Pleasantly Perfect, ridden by Alex Solis once again, got the better of Medaglia D'Oro in a contest that is remembered as one of the best battles in the history of the Dubai World Cup. 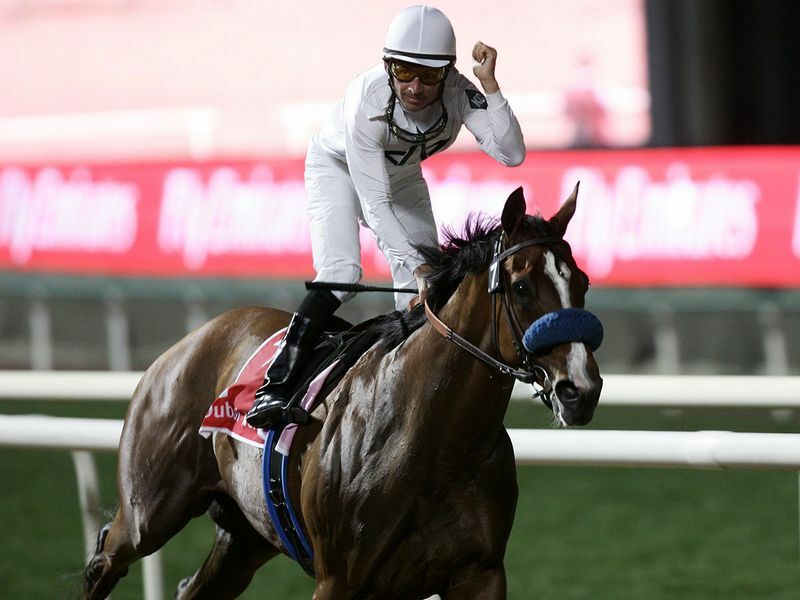 The tenth running of the Dubai World Cup drew a crack field of middle-distance horses including the mighty Roses in May, winner of the Whitney Handicap (G1), Kentucky Cup Classic Handicap (G2) and the Breeders' Cup Handicap (G3). 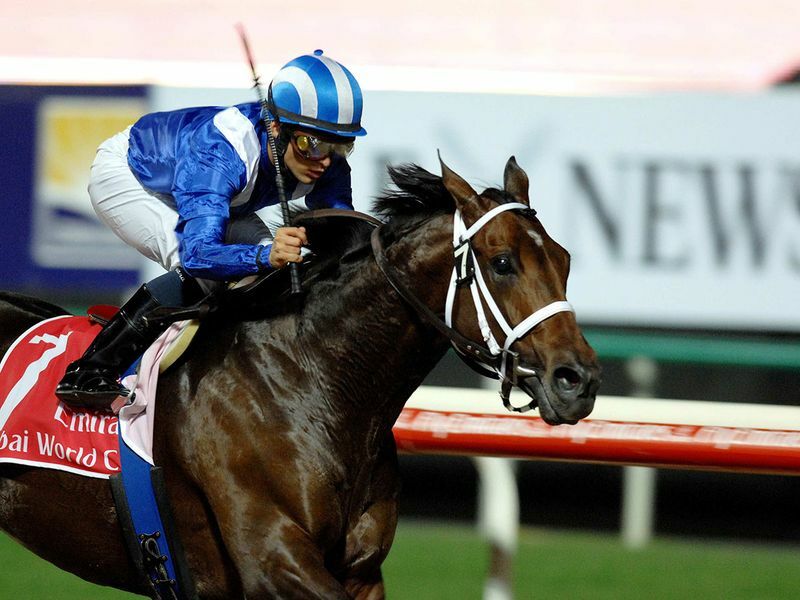 He had finished second in that year's Breeders' Cup Classic (G1) to Horse of the Year Ghostzapper. Before coming to Dubai he had finished second in the Donn Handicap (G1) and was the most talked-about horse at Nad Al Sheba, and with good reason. Roses in May ran home the three-length winner over Dynever and Choctaw Nation. He was ridden by John Velazquez for trainer Dale Romans. 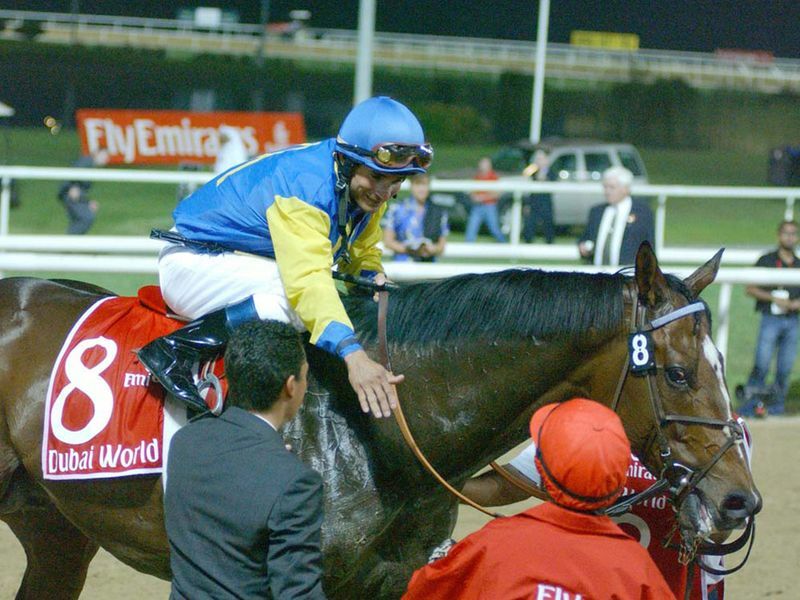 He was also the 43rd international winner at the 2005 Dubai International Racing Carnival. 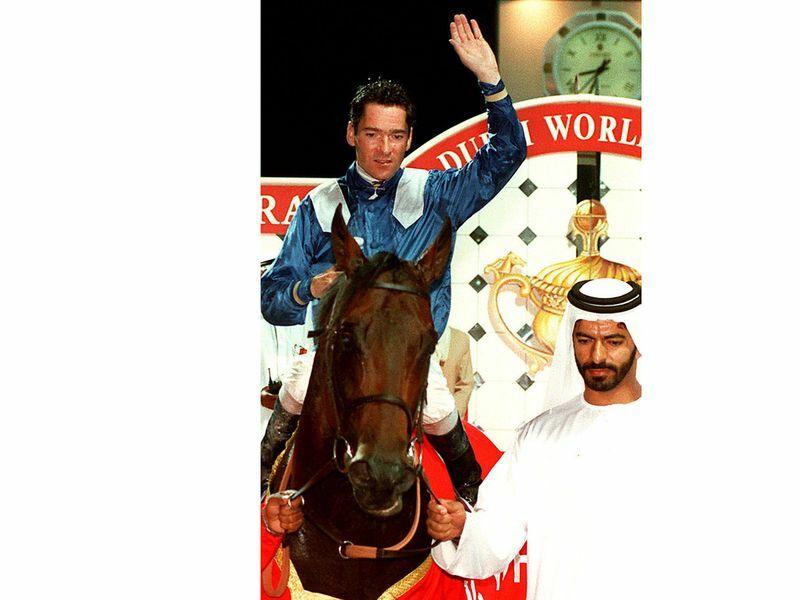 His win in Dubai proved to be his last race, as in August 2005 he sustained a tendon injury that ended his racing career. He currently stands as a stallion at Big Red Farm in Niikappu, Hokkaido, Japan. Godolphin had a solid contender in the form of Electrocutionist. The powerful son of Red Ransom had emulated previous Godolphin World Cup winners Dubai Millennium and Street Cry in landing the official prep race, the Al Maktoum Challenge Round 3 over course and distance. 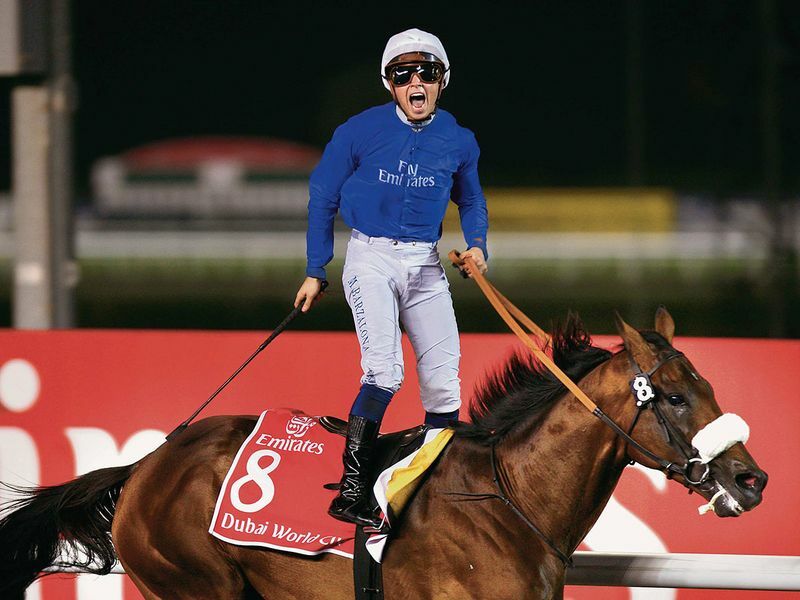 Ridden by Frankie Dettori for trainer Saeed Bin Surour, Electrocutionist raced in mid-division for the first half of the trip before he was switched wide and asked for his effort with 300 metres to run. The response was immediate and he burst through to score by one-and-a-half lengths ahead of Brass Hat, giving Bin Surour a fifth Dubai World Cup. 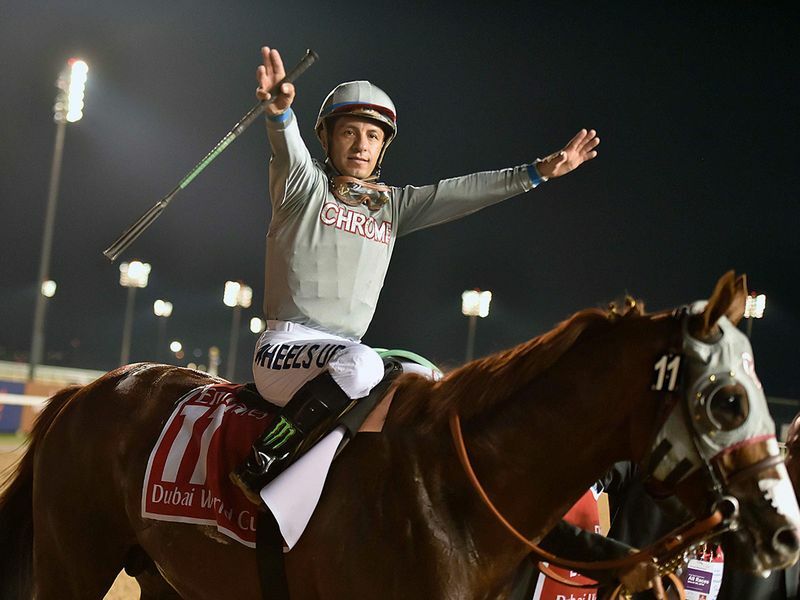 The Dubai World Cup was one of the most anticipated races of the year, with Argentine-bred Invasor and Discreet Cat, the winner of six straight races, squaring off in what was expected to be a big battle. But the battle did not materialise, as although Invasor, ridden by Fernando Jara, triumphed with an outstanding run, beating Saudi Arabia's Premium Tap by just under two lengths, the rest of the field were way behind and it was up to Bullish Luck, who stayed on the best, to claim the third spot. Invasor was later awarded the Eclipse Award for American Horse of the Year. He was retired on June 23, 2007, due to a bone fracture. 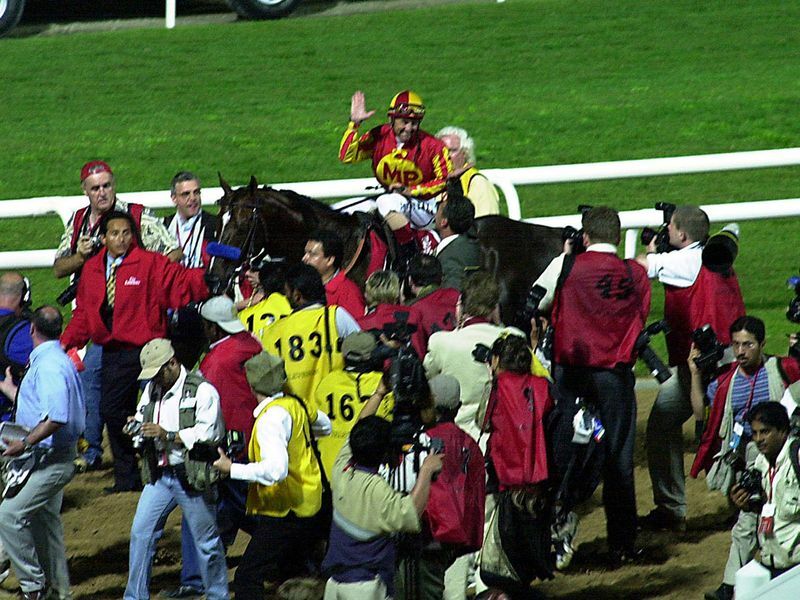 American Horse of the Year Curlin will always be remembered as one of the most imposing winners in the history of the Dubai World Cup (G1). His seven-and-three-quarter-length victory over fellow American raider Well Armed and third-placed South African challenger Asiatic Boy demonstrated the might of the American dirt specialist. 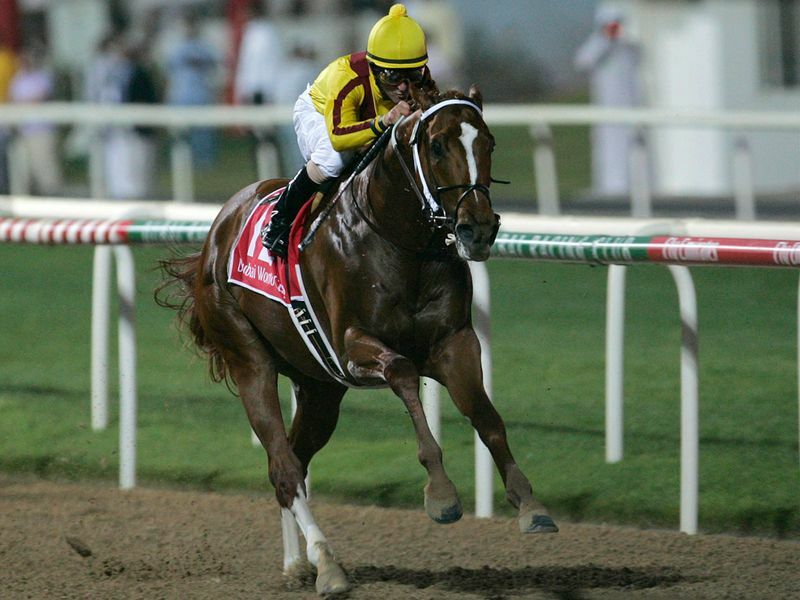 Curlin also became the fourth horse to win the Breeders' Cup Classic and then land the Dubai World Cup the following year after Cigar, Pleasantly Perfect and Invasor. Curlin, who had finished third in the Kentucky Derby in 2007, also won the Preakness Stakes. Curlin had finished second to Rags to Riches in the Belmont Stakes before winning the Jockey Gold Cup, BC Classic and Jaguar Trophy Handicap. Well Armed joined the legends that have won the $6 million Dubai World Cup with a devastating start-to-finish victory at Nad Al Sheba. The six-year-old son of Tiznow scorched the track to win the 14th running of the race by a record 14 lengths. Brazilian-bred Gloria de Campeao was a distant second, while Saudi Arabian raider Paris Perfect took third place. Bred and raced in the name of WinStar Farm, he had been attempting a comeback with West Coast trainer Eoin Harty two years later, but he came up with a small filling in a tendon in January 2011 at Hollywood Park and a decision was made to retire him. 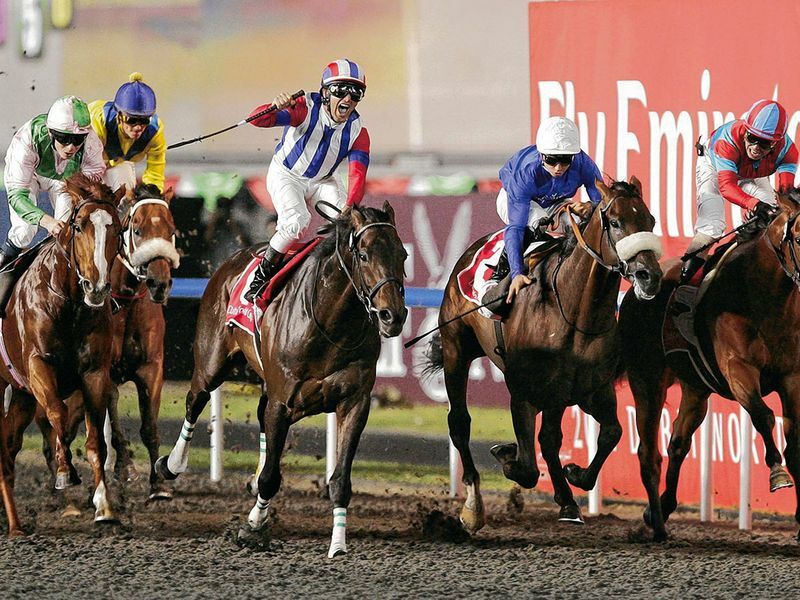 A new era for horseracing in the UAE began as the World Cup was shifted to the spectacular Meydan Racecourse in 2010. And there couldn't have been a better way to kickstart the opening with the winner being decided in a photo finish. Gloria De Campeao captured the $10 million world's richest horse race by edging out long-shot Lizard's Desire. Gloria De Campeao, ridden by Tiago Pereira, was ahead where it mattered, a nose in front of Kevin Shea's mount Lizard's Desire. The odds were 16/1. It was an emotional win for Japan's Victoire Pisa as the world's richest race was set against a backdrop of the devastating March 11 earthquake, which triggered the tsunami that killed more than 15,000 people in Japan. The Japanese contingent in Dubai wore black polo shirts all week with the word "hope" emblazoned on the sleeve and the date of the tsunami on the back. Japan still fielded Victoire Pisa, Transcend and Buena Vista in the race. Victoire Pisa was Japan's top three-year-old in 2010, yet it was his jockey, Mirco Demuro, who was to be instrumental in getting the best out of him. Demuro restrained the colt in last place before moving up to join the leaders half a mile from the finish of a slowly-run race. He took the lead in the straight and held off the challenge of his fellow Japanese challenger Transcend by half a length, with Monterosso in third. 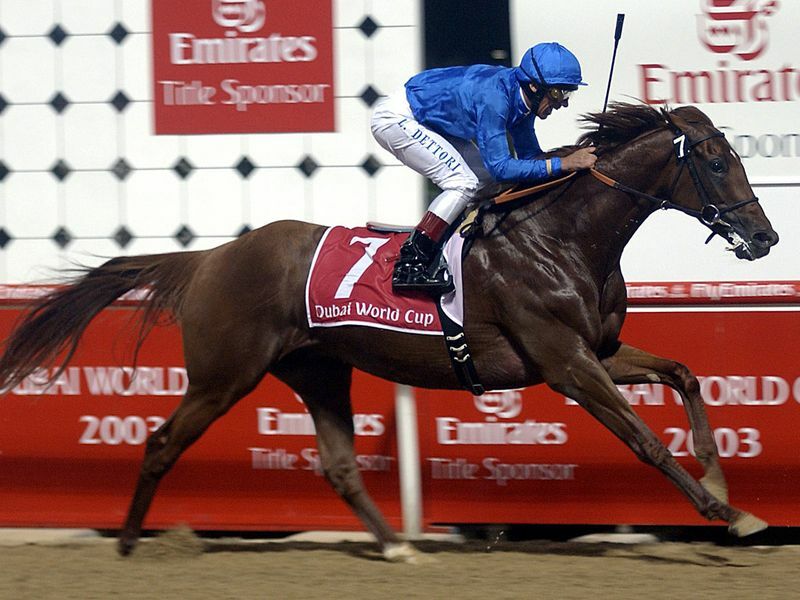 Monterosso, making his second attempt at the Dubai World Cup, went all the way. 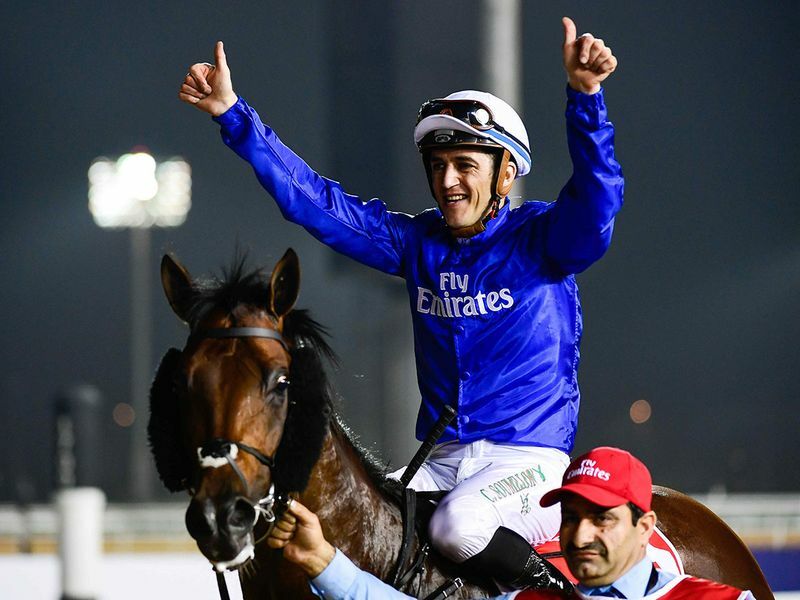 Mickael Barzalona, riding in the race for the first time since being officially recruited to the Godolphin team, settled the horse well in the middle of the field before moving strongly through to dispute the lead in the straight. He then maintained it all the way to the line to win by three lengths. Capponi was second and Planteur third, with So You Think, the favourite, only fourth. Foaled in 2007, Monterosso is a British-bred Thoroughbred racehorse that was originally trained in Britain, where he won three handicap races and the King Edward VII Stakes as a three-year-old in 2010. At the end of 2010, Monterosso had transferred to Dubai. On his first start in the UAE, he contested the Group 2 Dubai City of Gold over 12-and-a-half furlongs on turf at Meydan. Monterosso returned to Dubai in the winter of 2012/2013 but made only one appearance in the 2013 season. 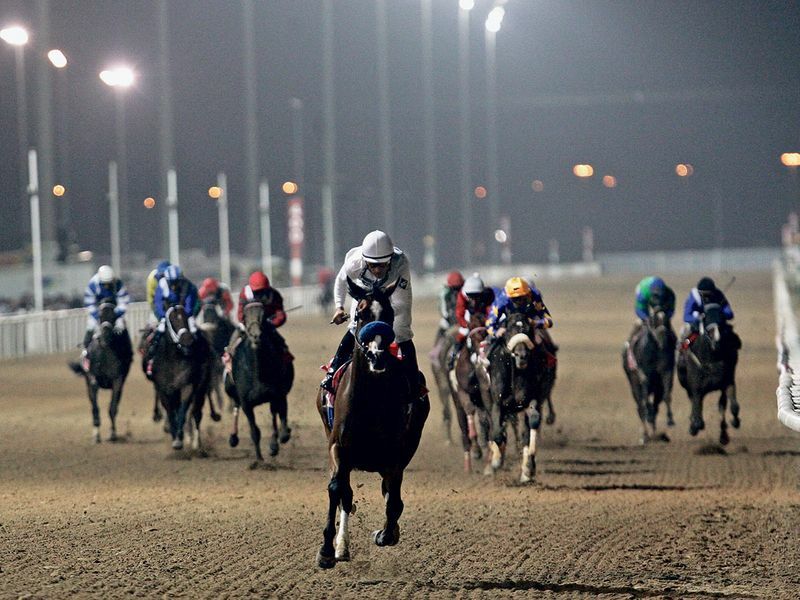 On March 9 he finished tenth of the 12 runners in the third round of the Al Maktoum Challenge. 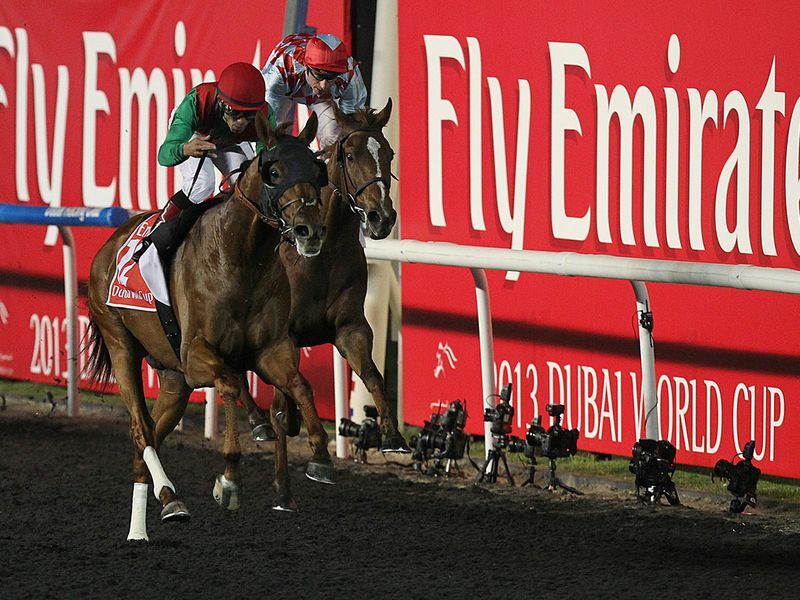 Animal Kingdom crushed his rivals to win the Dubai World Cup at Meydan on March 30. Jockey Joel Rosario steered Animal Kingdom to loom outside two-time American champion filly Royal Delta under Mike Smith, before they swooped to the lead coming out of the far turn. In just a few steps, Animal Kingdom opened up several lengths and the race was over. The 2011 Kentucky Derby winner collared the 12-strong field at the turn of the 2,000-metre race on Tapeta, holding off a late challenge from British raider Red Cadeaux to win with almost effortless ease. Now owned in partnership by Australia's Arrowfield Stud and the Team Valor International racing partnership, based in the US, Animal Kingdom stunned even his owners with his remarkable victory. 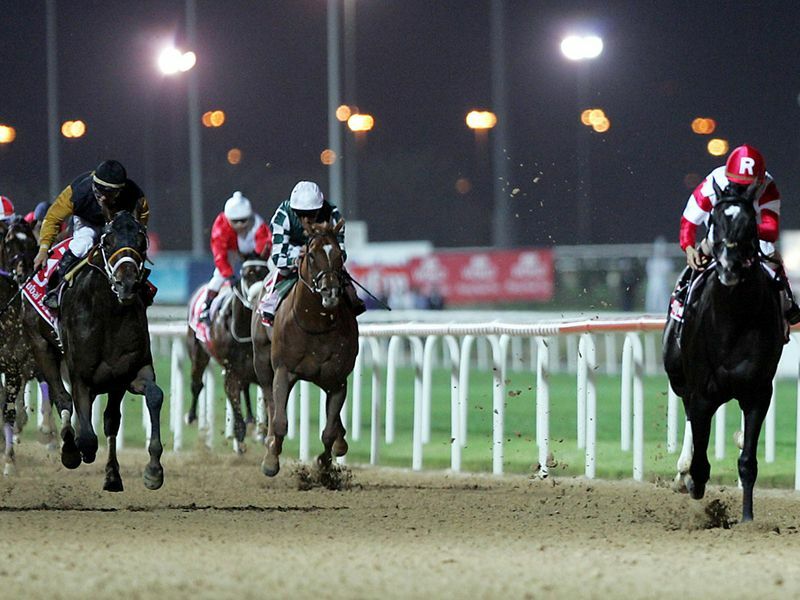 African Story produced a brilliant finish to win the Dubai World Cup by two-and-three-quarter lengths in 2014. The Godolphin horse is owned by His Highness Shaikh Mohammad Bin Rashid Al Maktoum, Vice-President and Prime Minister of the UAE and Ruler of Dubai. With Silvestre De Sousa on board, the seven-year-old gelding became the sixth winner of the race for Emirati trainer Saeed Bin Surour. Starting from post six, 12/1 shot African Story caught up with Mukhadram with 200 metres to go. Mukhadram was a clear second for Shaikh Hamdan Bin Mohammad Bin Rashid Al Maktoum, Crown Prince of Dubai, while Godolphin's Charlie Appleby-trained Cat O'Mountain got up for third over Side Glance. Derby winner Ruler Of The World, who had a poor draw, was struggling from some way out under Joseph O'Brien. African Story will be looking to retain his title today and is tipped as one of the favourites. 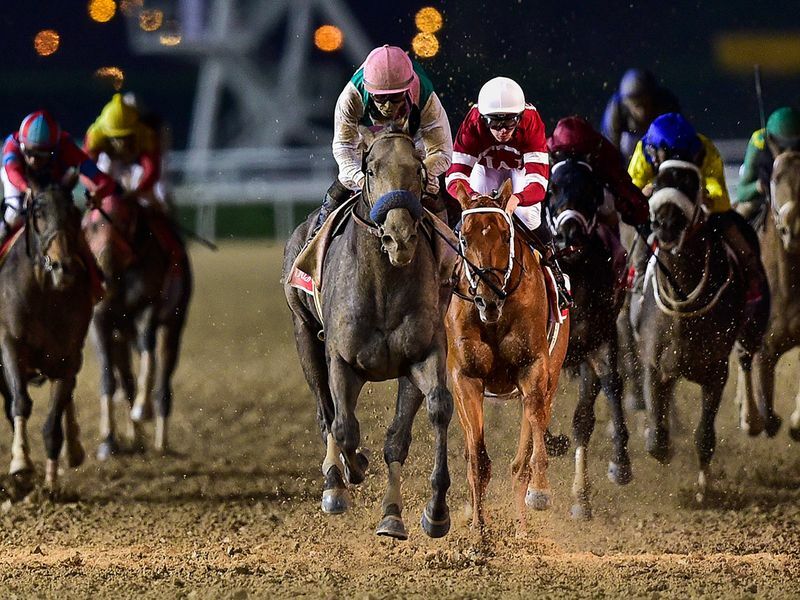 The 20th running of the Dubai World Cup, which moved from a synthetic Tapeta surface to a dirt track, was won in great style by Prince Bishop owned by Shaikh Hamdan bin Mohammad Bin Rashid Al Maktoum. 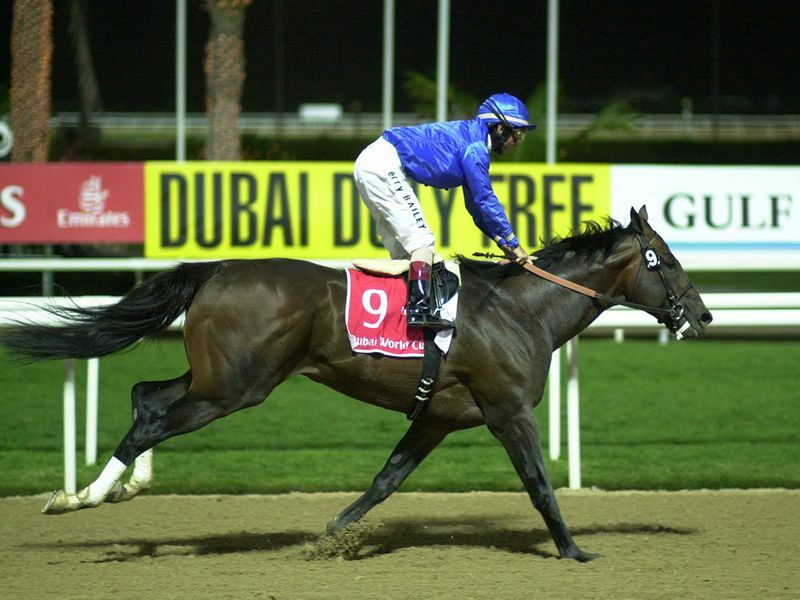 The eight-year-old bay gelding was trained in Dubai by Saeed Bin Suroor and ridden by William Buick. Prince Bishop's victory was the first in the race for Scandinavia-born Buick and the seventh for his Emirati trainer. It was also the first for Shaikh Hamdan. The return of the race to dirt saw a strong North American challenge, headed by the American Horse of the Year California Chrome, Prince Bishop won by two and three quarter lengths from California Chrome. California Chrome came back to Dubai to attend to some unfinished business having lost to Prince Bishop the previous year. The five-year-old chestnut horse who was trained in the United States by Art Sherman and ridden by Victor Espinoza. 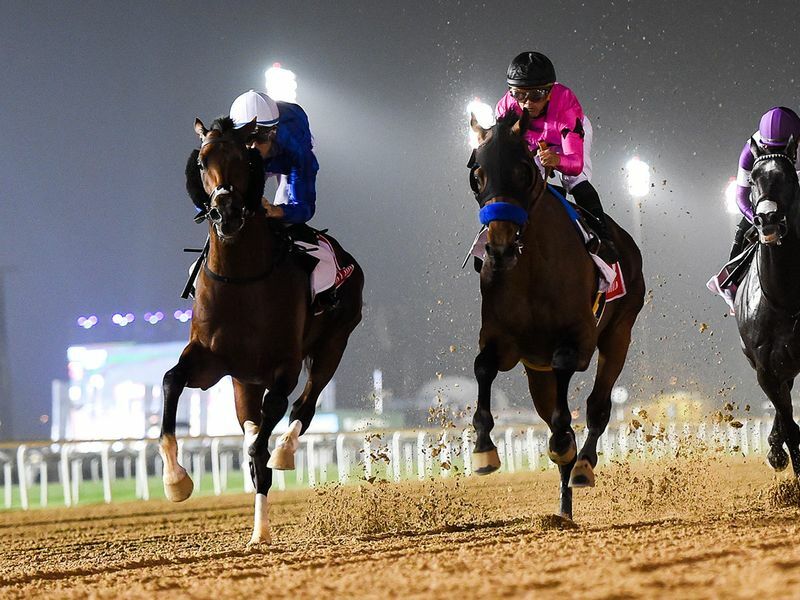 Chrome crossed the finish line three and three-quarter lengths clear of South African raider Mubtaahij who was a neck in front of another American contender Hoppertunity whilst Dubai’s Special Fighter took fourth place. California Chrome's victory was the first in the race for his jockey, trainer and owner. 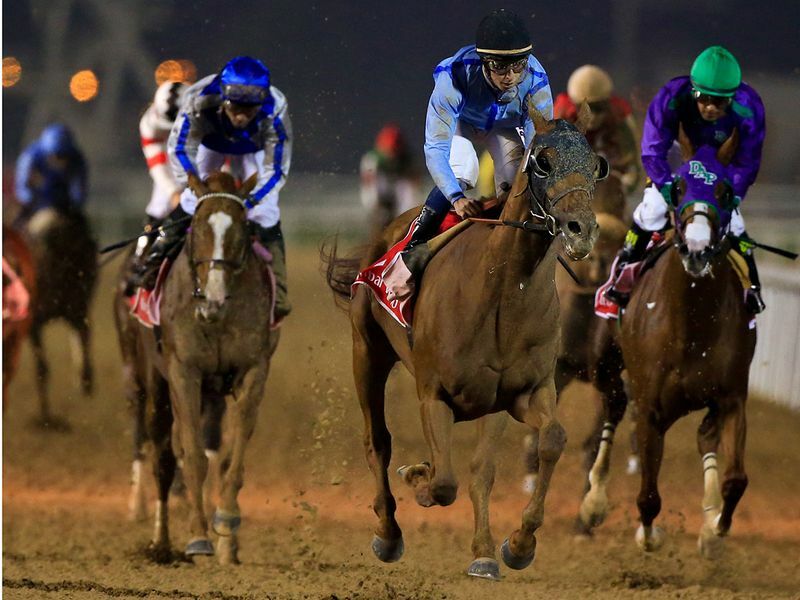 It was an impressive victory as California Chrome won despite Espinoza’s saddle slipping badly in deep stretch. It compromised Espinoza's ability to safely control his mount but the talented rider held him own aboard a willing horse and the victory was never in doubt. Arrogate, the American Champion Three-Year-Old champion and the 2017 Pegasus World Cup winner in a new track record followed on to win the Dubai World Cup. Despite breaking bad and finding himself squeezed between other horses, causing him to drop to the back of the fourteen horse field, veteran jockey Mike Smith rode a brilliant race to set up victory. 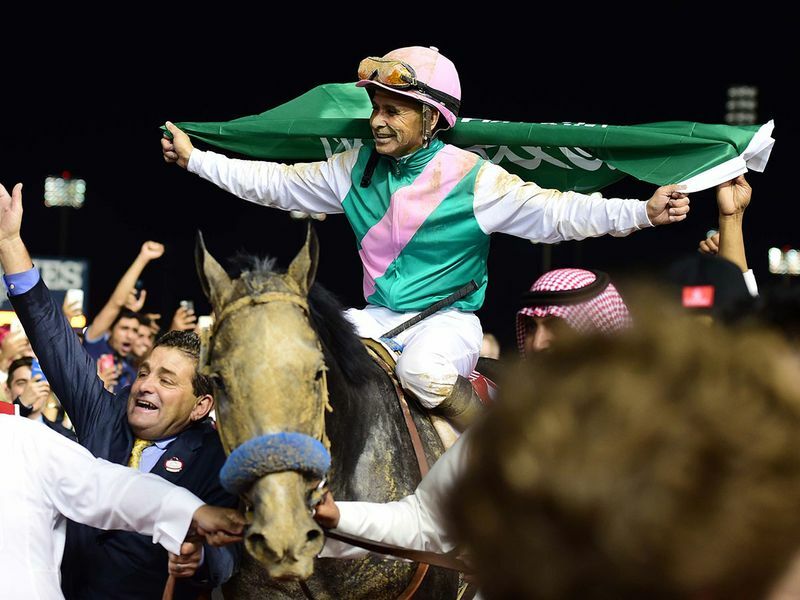 Is Arrogate the greatest Dubai World Cup winner? 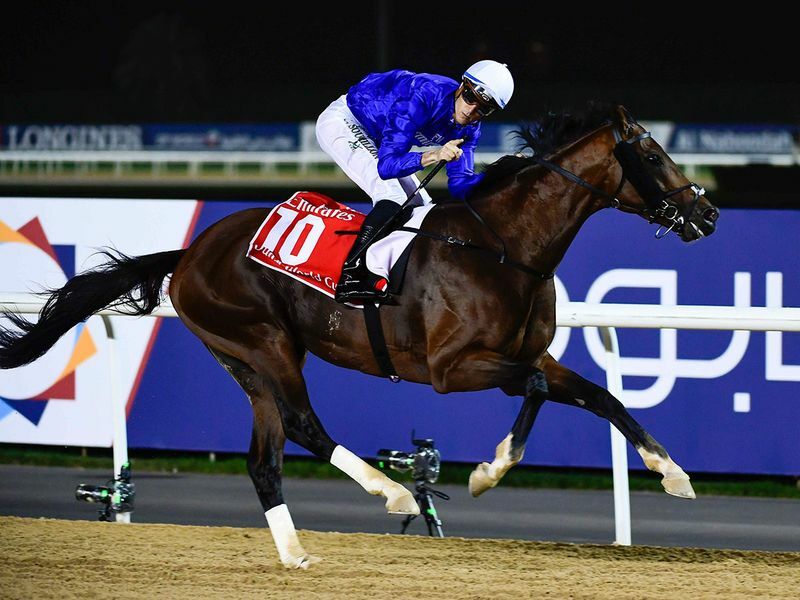 Goldolphin’s Thunder Snow, ridden by Christophe Soumillon and saddled by Saeed Bin Surour, stunned pre-race favourite West Coast to win the Dubai World Cup in Meydan Saturday. 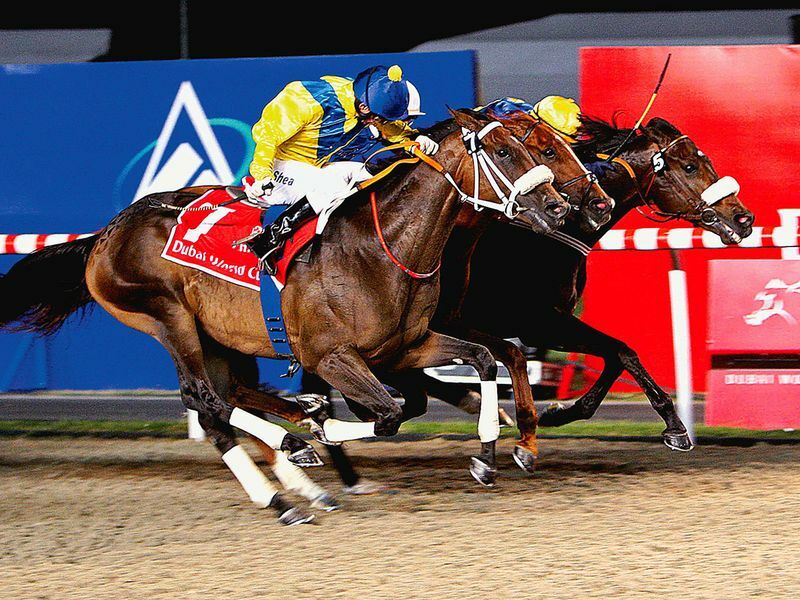 The Dubai-headquartered stable, founded by His Highness Shaikh Mohammad Bin Rashid Al Maktoum, Vice-President and Prime Minister of the UAE and Ruler of Dubai, had one of their most memorable outings on the big night by winning three more races earlier – Al Quoz Sprint, Dubai Turf and Dubai Sheema Classic. Shaikh Hamdan Bin Mohammad Bin Rashid Al Maktoum, Crown Prince of Dubai, also tasted success when his Heavy Metal won Godolphin Mile, the first race of the day.